BR Mk.I TSO No.M4058 "Angela" of the AVR in inauthentic Pullman livery. Built as Diagram 93, Lot 30149 at BR (Swindon & Ashford), 1957. 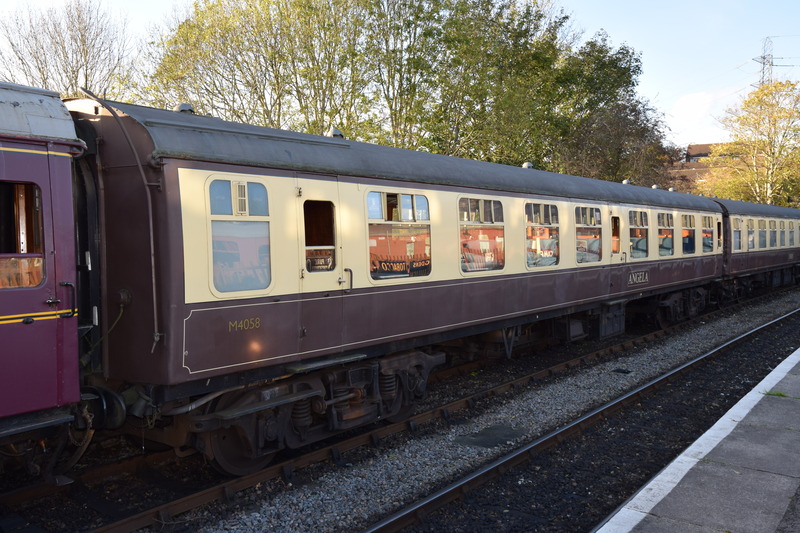 At Bitton during the Avon Valley Railway Autumn Gala, 4 November 2017.